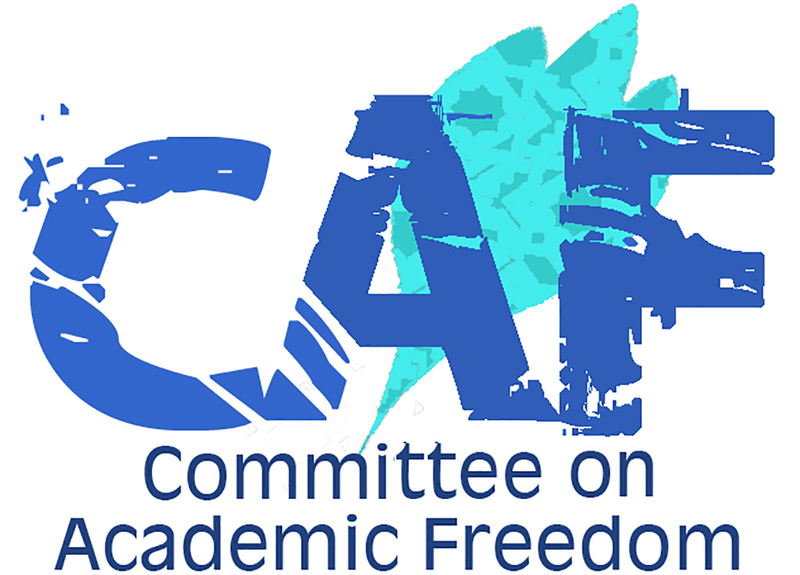 We write on behalf of the Middle East Studies Association (MESA) of North America and its Committee on Academic Freedom to express our deep concern about the excessive police force targeting peaceful protesters and the subsequent detentions that occurred at a demonstration on 10 February 2017 protesting the dismissal of academics en masse from Ankara University. On 10 February 2017, a peaceful demonstration was organized protesting the dismissal of 23 teaching staff members of the Faculty of Political Science, Ankara University. As we wrote to you in our letter of 8 February, we are very concerned about the most recent emergency decree, issued on 7 February 2017, Kanun Hükmünde Kararname (KHK) 686, which resulted in three hundred and thirty (330) academic personnel being dismissed from their positions at forty-nine (49) universities across Turkey. Of the many terrible consequences of KHK 686, perhaps the hardest hit was the political science department at Ankara University, where 23 members of the teaching staff were dismissed; across the university, 95 academics were terminated. Indeed, the Faculty of Political Science at Ankara University has suffered considerably from the measures taken since the attempted military coup of July 15, 2016 with a total of 117 academics terminated by the various decrees over the last seven months. These measures have targeted academic personnel not on the basis of alleged connections to the attempted coup, but on the grounds of their political opposition to government policies. As an example, more than half of those dismissed on 7 February are signatories of the Academics for Peace petition and have been singled out by the government for their pro-Kurdish stance since that petition was published in January 2016. (We have written to you on the subject of measures taken against petition signatories in our letters dated 14 January 2016, 8 February 2016, 22 February 2016 and 17 March 2016). With KHK 686, the total number of Peace Petition signatories to have been dismissed from their university positions by emergency decree has risen to100. The peaceful demonstration on 10 February was organized by the teachers’ union Eğitim-Sen to support the dismissed staff members, with the hashtag #HayirGitmiyoruz (No we are not leaving). The protest was attended by academic staff members, students, and Members of Parliament. When former and present academic staff members of the Faculty of Political Science wanted to enter the university premises, the police attacked them with water cannons. During the protest, eleven people, including five academics, were detained; they were released at the end of the day. In our letter of 12 January 2017, we drew your attention to alarming reports about the conduct of Ankara University’s government-appointed Rector, Erkan İbiş, who has launched more than sixty disciplinary investigations against academics and former deans on grounds that violate basic precepts of academic freedom. In our letter of 8 February 2017, we noted that the record number of dismissals from Ankara University suggested that Rector İbiş had a role in identifying academics at his university for government retaliation. The harsh repression of a peaceful demonstration in support of those who have been dismissed from Ankara University now adds to the staggering record of punitive actions against faculty by Rector İbiş. Our letters over the last year, and particularly since the attempted coup, have documented the astonishing scale of investigations, prosecutions, dismissals, detentions and campaigns of private harassment directed against academics across Turkey. We have never before amassed evidence of such a record number of violations of academic freedom and freedom of expression in such a short period in the history of our activities in defense of academic freedom in the countries of the MENA region. This record of repression and intimidation of academics is all the more disturbing when considered in light of Turkey’s reputation, until recently, of aspiring to maintain a standard of protection of civil and political rights in keeping with the European Convention of Human Rights. The invocation of anti-terrorism laws as a pretext to investigate, fire and even prosecute academics, journalists, politicians and NGO advocates for engaging in academic research, expressions of political opinions and peaceful demonstrations in support of Kurdish rights has been widely reported over the last three years by numerous human rights organizations, intergovernmental organizations and groups monitoring press freedoms. Against this backdrop, the further assaults on freedom of speech, freedom of opinion and academic freedom under the state of emergency signal the abandonment of basic human rights protections under Turkish law in direct violation of Turkey’s international obligations. As a member state of the Council of Europe and a signatory of the European Convention for the Protection of Human Rights and Fundamental Freedoms, Turkey is required to protect freedom of thought, expression and assembly. Turkey is also a signatory to the Universal Declaration of Human Rights, the International Covenant on Civil and Political Rights, and the Final Act of the Conference on Security and Cooperation in Europe (OSCE), all of which protect the rights to freedom of expression and association, which are at the heart of academic freedom. Derogation from human rights instruments under the state of emergency must be narrowly tailored to the exigency at hand and cannot arbitrarily restrict academic freedom or justify the massive and arbitrary dismissal of thousands of academics across the country. Moreover, the rights being trampled in these actions are enshrined in articles 25-27 of the Turkish Constitution, in addition to the right to education enshrined in article 42. We urge your government to take all necessary steps to abandon the course currently being pursued and to protect academic freedom and the right to education, as well as the rights to freedom of expression and freedom of association. We further ask as an urgent matter that the government investigate the excessive police repression used against demonstrators at Ankara University on 10 February and consider reversing steps taken to dismiss an unprecedented number of academics from that university.